Hotels are a great example of a business that can benefit from this type of lock system. Maintenance, housekeeping, and security staff at hotels need to have access to all of the hotel rooms. Yet, individual guests should not be able to get into each other’s rooms. Master key systems allow guests to have a key that only unlocks their room; however, hotel staff can have a key that can unlock all rooms. This system keeps your establishment secure. We will set up a lock system that works for you. Master keys can be found in other commercial locations such as Hospitals or Apartment complexes and ensure peace of mind to staff and employers. 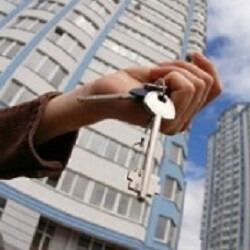 Our mobile locksmiths can install and repair your locks efficiently and effectively. Your emergency is our emergency. That is why we work around the clock. Whatever needs your company has, we can fix. We specialize in master key systems, yet we install and repair a variety of different types of locks. Don’t take your business’ security for granted.